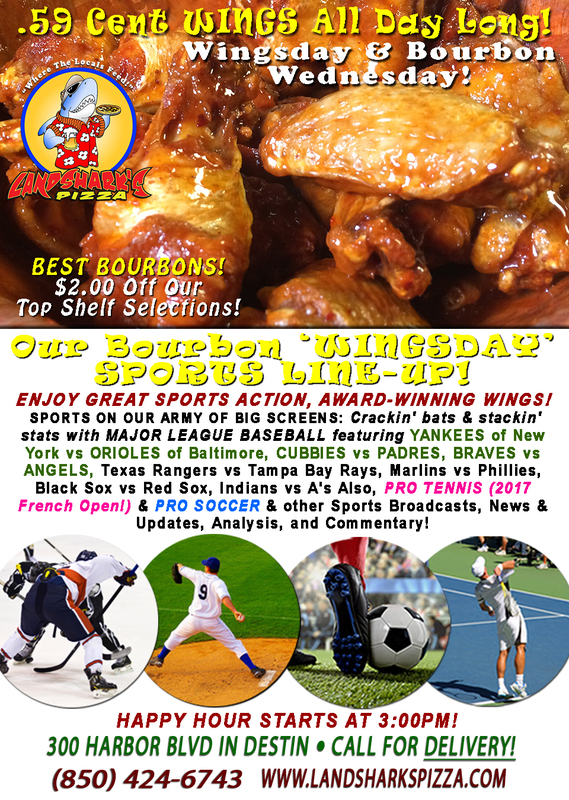 Wingsday Stanley Cup Finals & French Open Wings only .59¢ Ea. & Best BOURBONS all $2 Bucks Off! 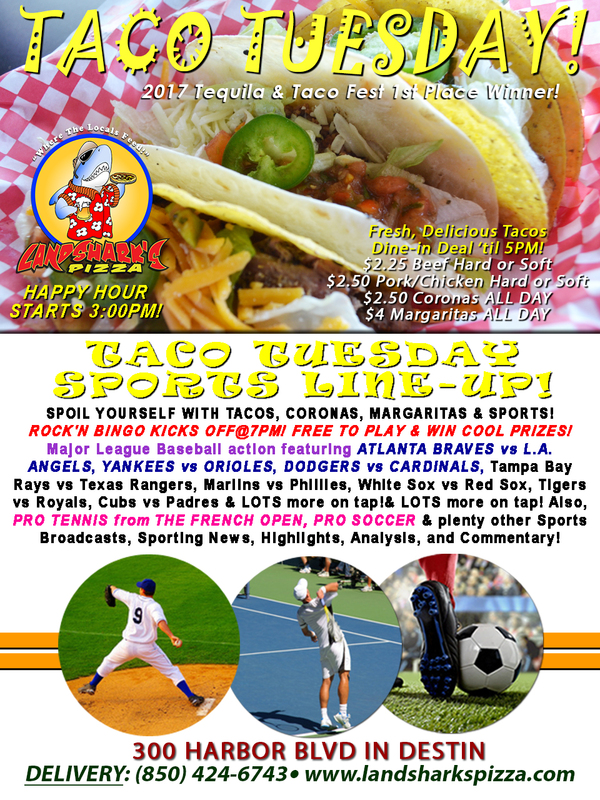 $2.25 Award-Winning Tacos & $2.50 Coronas on TACO TUESDAY $4 Margaritas & ROCK’N BINGO KICKS OFF@7PM! 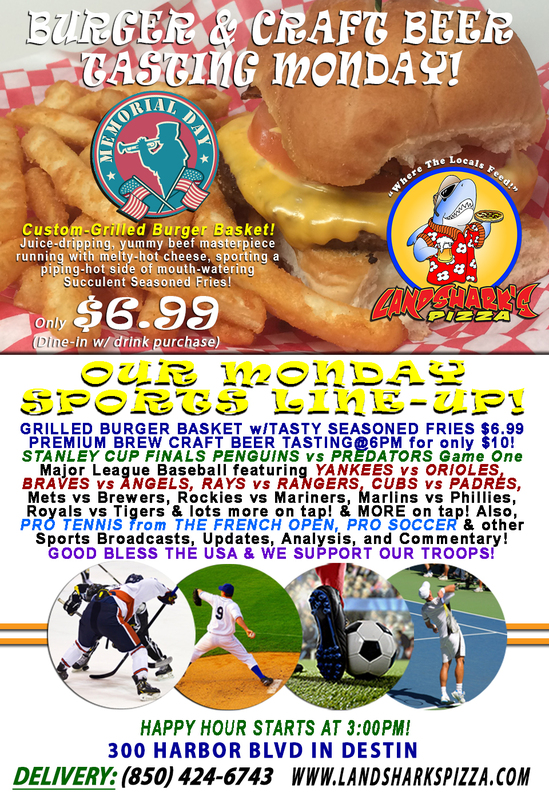 Memorial Day Stanley Cup Finals@Landshark’s! $6.99 Burger Basket CRAFT BEER TASTING@6PM! 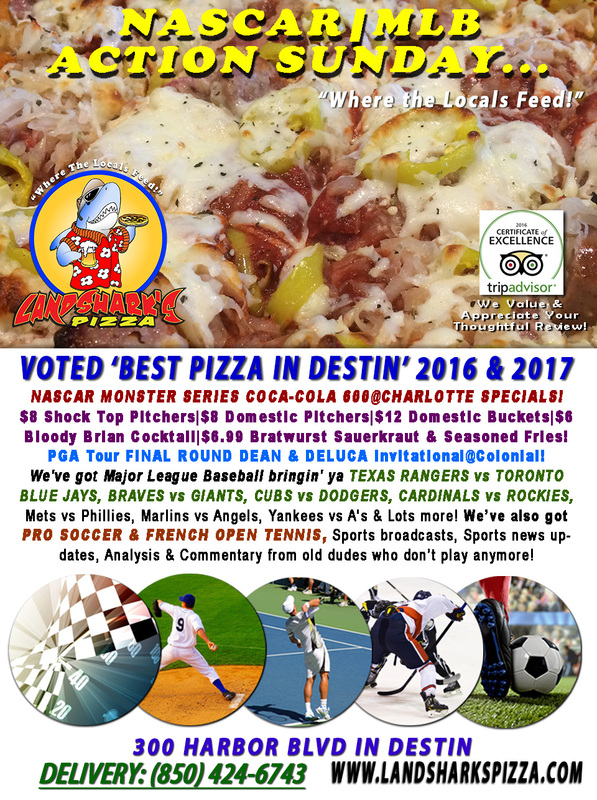 MLB, PGA, French Open & COCA-COLA 600@Charlotte $8 Pitchers & more BEST PIZZA IN DESTIN 2017! 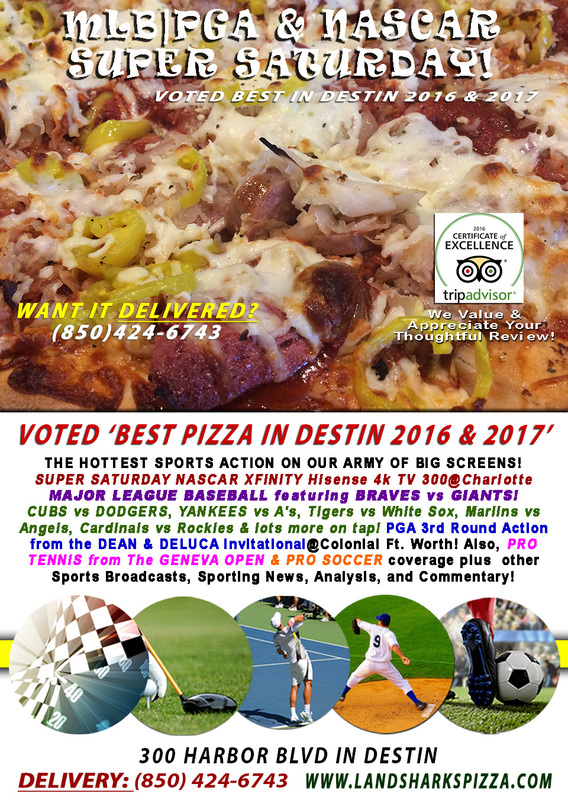 NASCAR XFINITY@Charlotte, MLB, Geneva Open Tennis & THE BEST PIZZA IN DESTIN 2017! 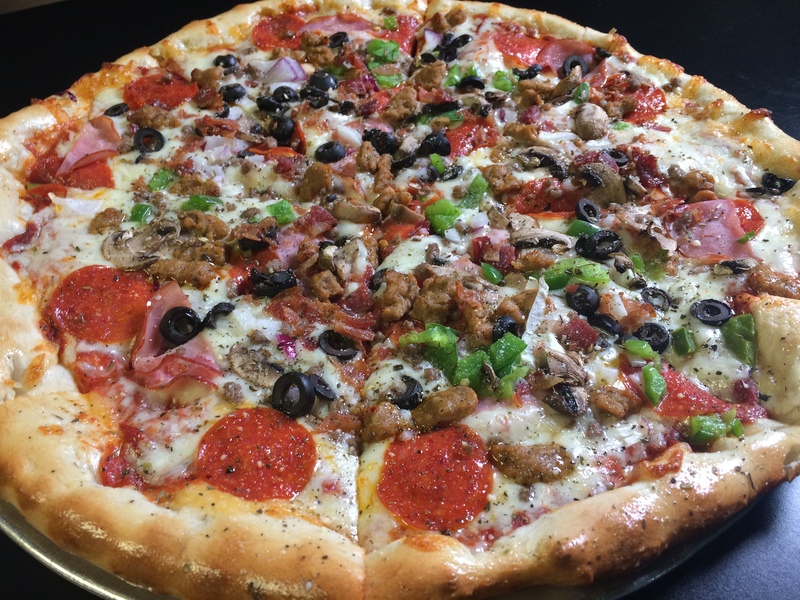 Sunny Freedom Friday@Landshark’s $6.99 Two-Topping Calzone MLB, PGA, Geneva Open Tennis & More! 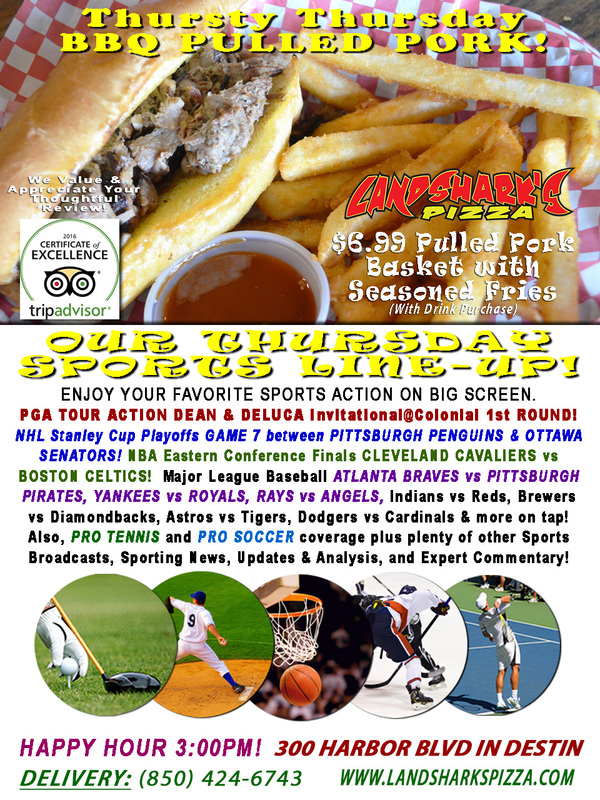 PGA DEAN & DELUCA, NHL & NBA Playoffs, MLB & Destin’s BEST TRADITIONAL BBQ Basket only $6.99! Happy Humpday Wings only .59¢ Ea. 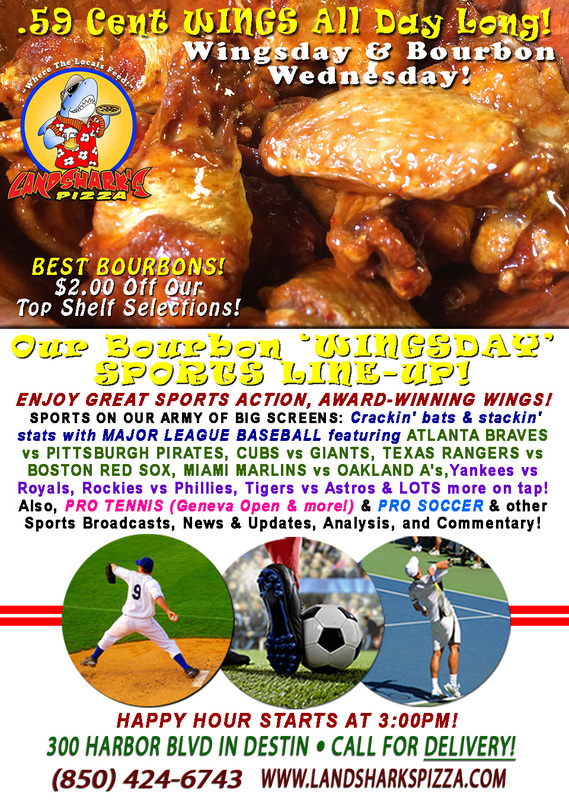 MLB, Tennis & Soccer Action & Best BOURBONS all $2 Bucks Off! 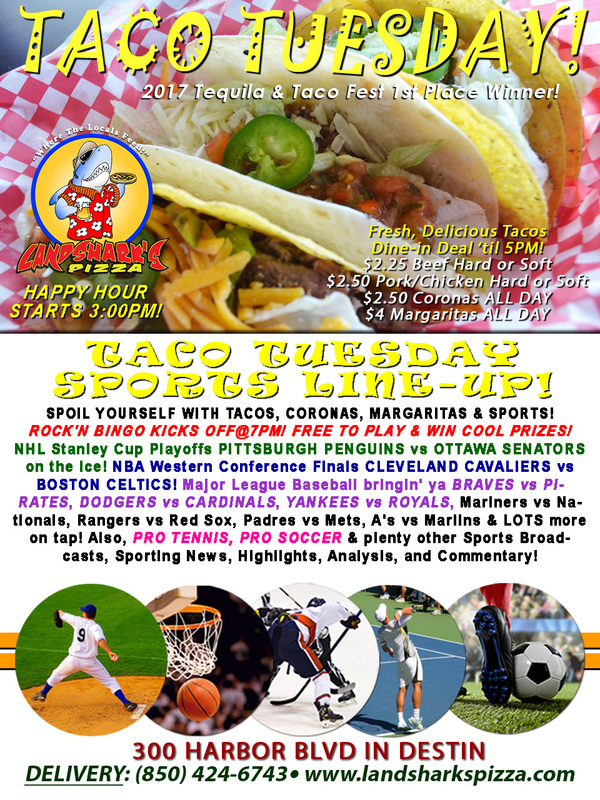 NHL & NBA Playoffs TACO TUESDAY Tacos, Coronas, Margaritas & ROCK’N BINGO KICKS OFF@7PM! 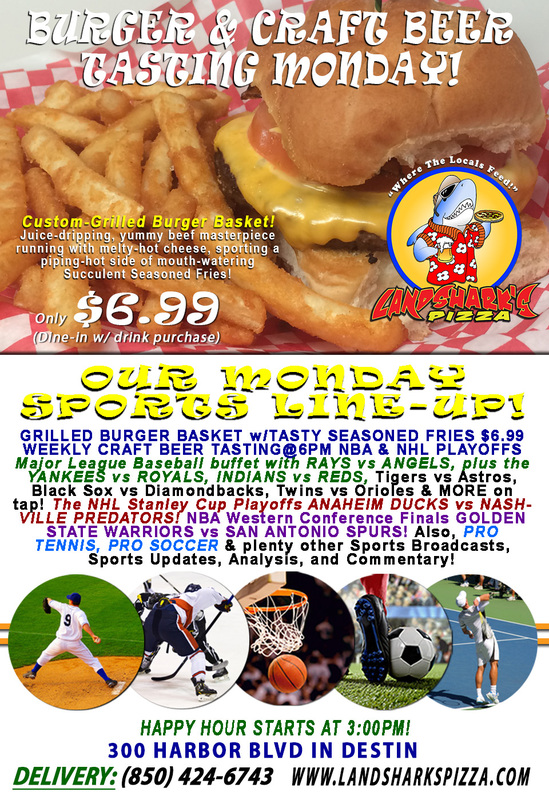 T.G.I.Monday $6.99 Burger Basket CRAFT BEER TASTING@6PM & NBA|NHL Playoffs, MLB & More! 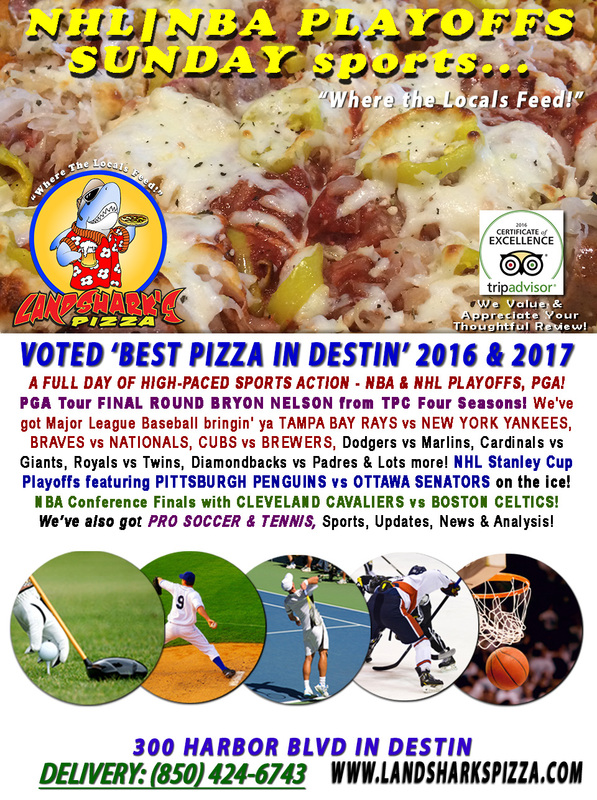 Action Sunday in Destin with NHL Stanley Cup & NBA PLAYOFFS, PGA Byron Nelson Finale, MLB! 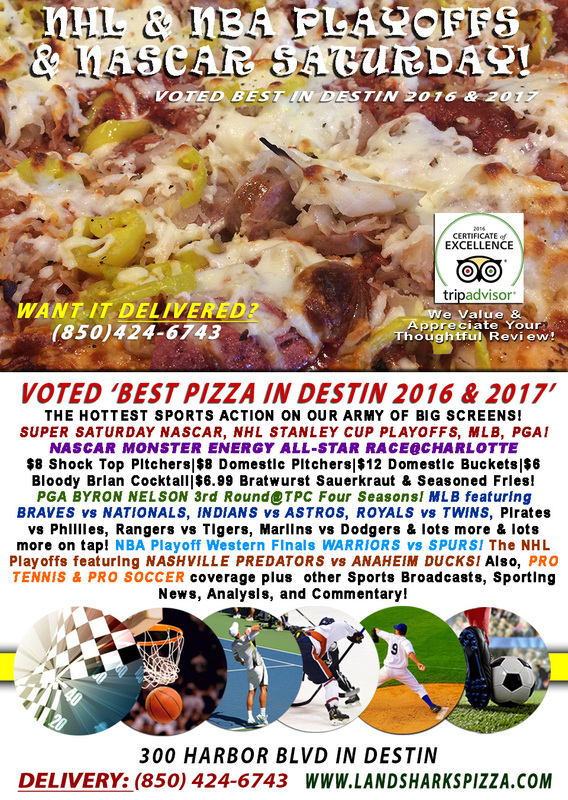 NBA & NHL Playoffs & NASCAR 2017 MONSTER ENERGY ALL-STAR RACE $8 Pitchers $12 Buckets & MORE Specials!